Last week we invited one of our lovely bride’s to leave her day job and join us for a photo shoot showcasing some of our newest gowns for 2011! We had a blast working with Laura Murray photography, and our gorgeous model Emily! 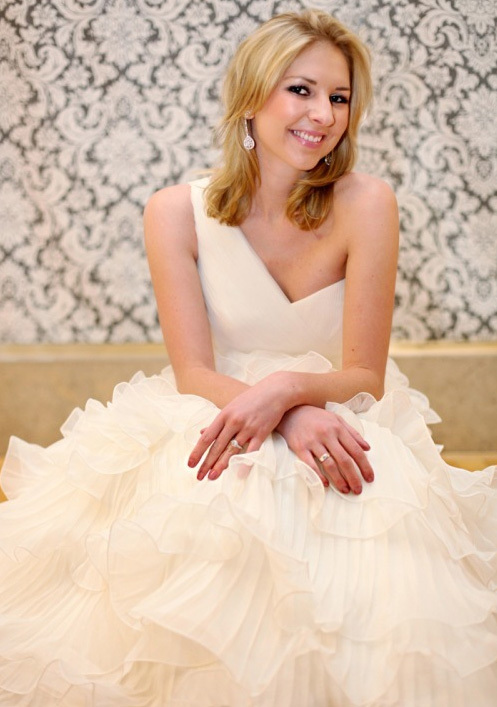 Emily ordered a La Sposa gown, but we can’t tell you which one! You will be able to see her actual wedding photos this fall, but you can bet she will be just as gorgeous in her own gown. Thanks Emily! !